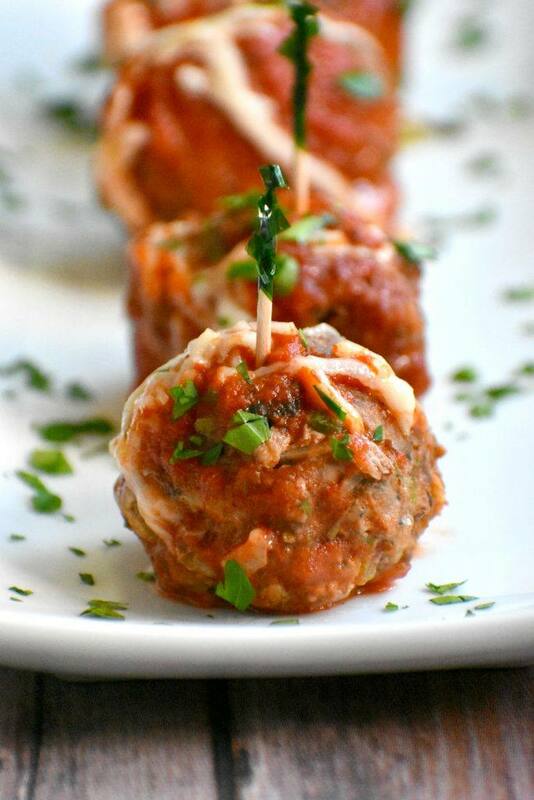 Paleo Meatballs. Egg free and full of delicious healthy flavor. When I decided to write down my meatball recipe I knew I wanted to keep it simple. Not only did I want the meatballs to be gluten and dairy free, but I knew I could make an amazing tasting meatball that was naturally paleo. Everyone always wants to know, how do I make meatballs without eggs? It is really is simple to make egg free meatballs. 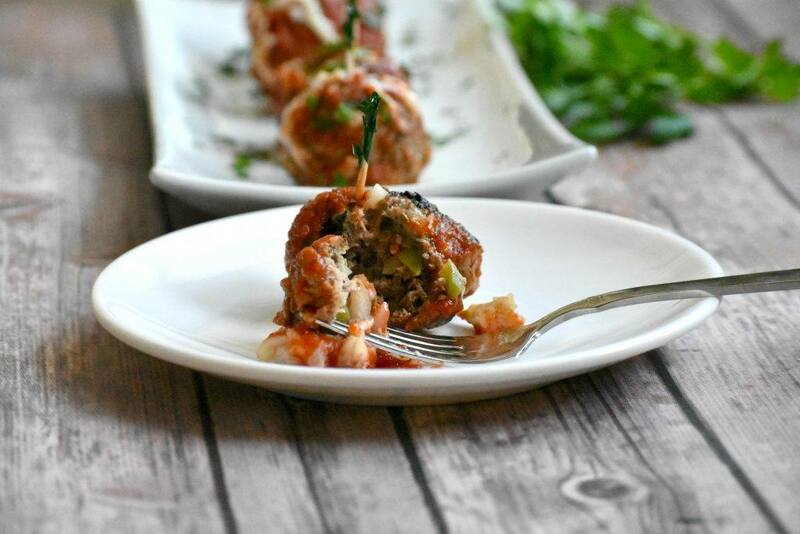 Paleo meatballs are the perfect crowd pleaser. The entire family loves them and if I am trying to keep things healthy, I will simply eat mine with zoodles. Meatballs are one of those things that have always felt like a lot of work, until now! All of the meatball recipes I made in the past contained eggs and breadcrumbs. When you are GF, breadcrumbs are harder to come by, somewhat pricey and just feel like a chore to make them yourself. 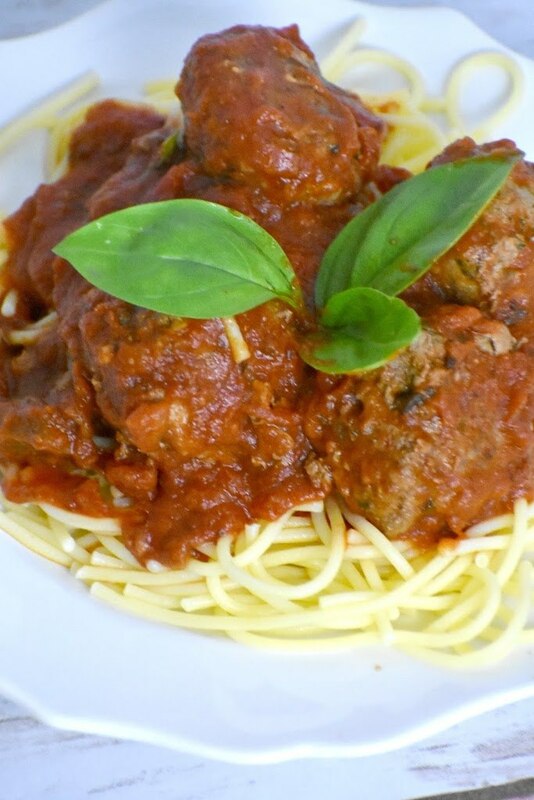 Not only is this a super healthy meatball, but it is insanely easy to make. So, these Italian Whole 3o Meatballs are also Gluten Fee Meatballs Without Breadcrumbs! If you want to keep this paleo serve with zoodles and your favorite paleo sauce. I served ours will gluten free noodles and French Bread from my cookbook. Everyone went crazy for them and there was plenty of leftovers the next day. If you make the French Bread, it makes 2 loaves. Have one loaf with dinner and use the other loaf to make a meatball sub, yum! 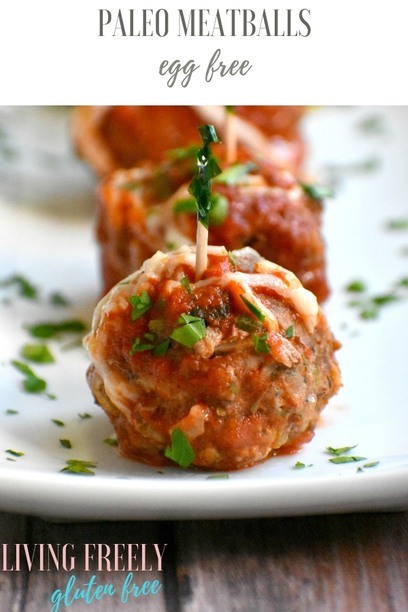 These Whole 30 meatballs are also the perfect paleo meatball appetizer recipe for any gathering. It checks off all of the allergens since its just meat and veggies. These are perfect for everyone! You can dress them up fancy if you would like with some chopped basil or Italian parsley. 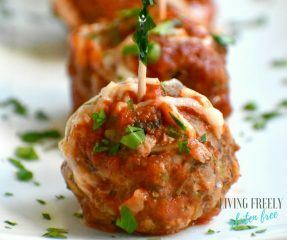 Paleo Italian Meatballs are my favorite! You can make these meatballs as big or as little as you want. If you want bite sized meatballs for appetizers you could get 35-40 from the recipe. We typically make ours very large and I get 20 or so of them. Before experimenting with different ways to make them I would just fry them. I found that it dried them out and made them too crisp on the outside. I like a soft and juicy meatball. When you brown them in the pan it helps to keep the meatball in tact, then transferring it to a baking dish and baking them in the sauce allows the meatballs to soak up the moisture and flavor. I had planned to freeze half of the meatballs, but they were so good that we finished them off the next day. I grew up not eating homemade meatballs. The only ones I ever had (other than restaurants) were the frozen ones. My family is Spanish though and my grandma was the primary cook. I have always liked meatballs, but it wasn’t something I got overly excited for…until now! 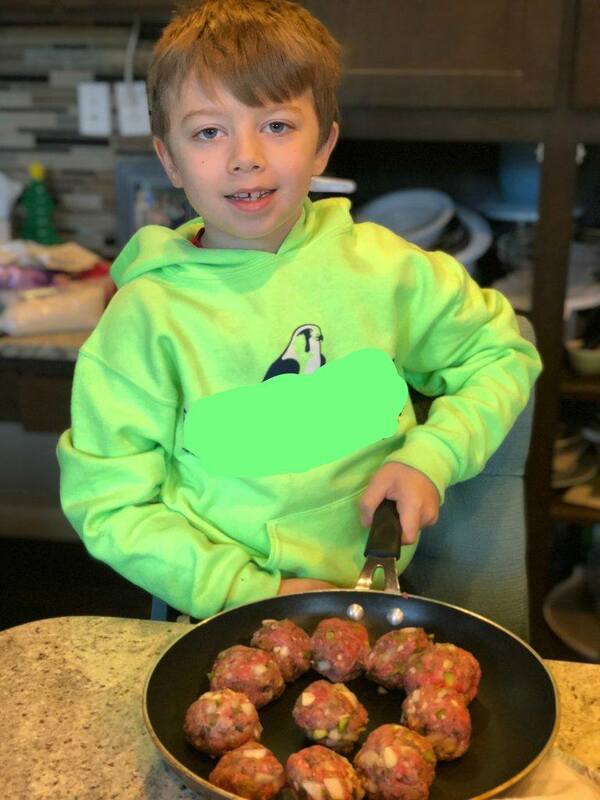 My husband always loved meatballs, and in fact I found out I was pregnant with our son shortly after craving meatballs (I was vegetarian at the time too). My kids love them and ask for them all of the time. That is another reason I created this recipe. I wanted a delicious, healthy, and simple meatball that I could turn to whenever they asked for them. How do I throw these Paleo Meatballs that are also Egg Free together? This recipe calls for 2 lbs. of ground meat. I used half ground turkey and half ground beef. This helped to make the recipe more affordable and a little leaner than using all beef. You simply add all of your ingredients into a bowl and mix well. Form them into meatballs and brown in a frying pan. Pour some sauce onto the bottom of a baking dish, put the meatballs on top and pour more sauce on top. Bake covered. Then uncover at the end. You can also add some vegan mozzarella shreds on top if your feeling fancy. This will be the perfect dinner to serve for guests, or just on a weeknight for your family. I haven’t made them in the crock pot yet, but the next time I make these I would love to brown them on the stove top and then slow cook them in the crock pot. You could even brown them the night before and then pop them in the slow cooker in the morning before you head out to work. They are even easy enough to get the kids involved. Here is little James after he made some. 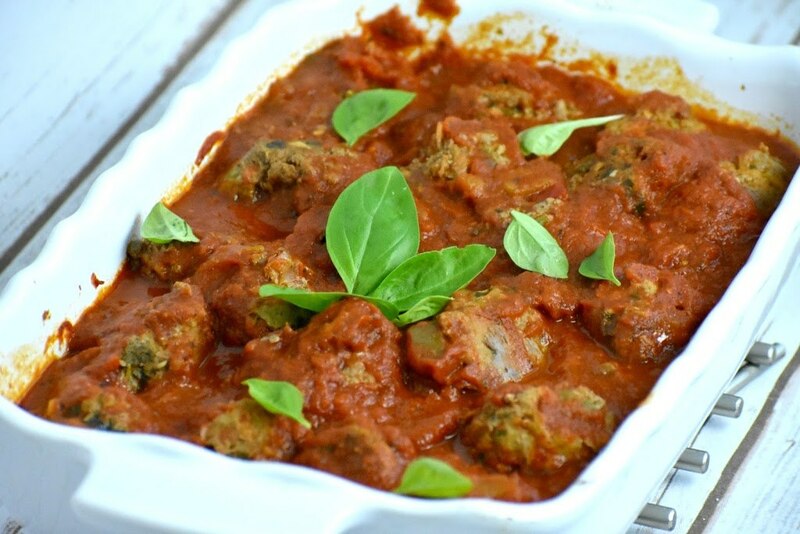 I am confident this will become your go-to paleo meatball and egg free meatballs. Enjoy! 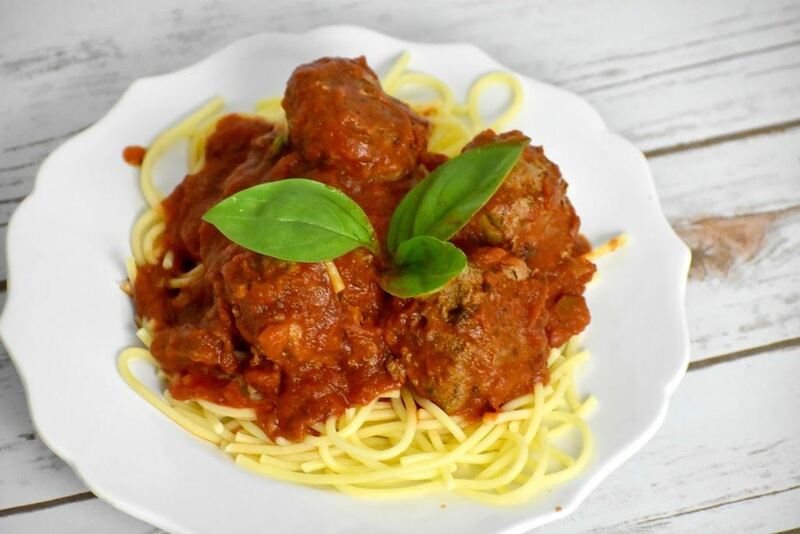 Paleo, Gluten Free, Dairy Free and Eggless Meatballs couldn't be easier. 4 Cups of your favorite spaghetti or marinara sauce. Add all the ingredients except the sauce to a bowl and blend well with your hands. Form and shape the meatballs with your hands. Cook the meatballs in the skillet for 5 minutes. Flip the meatballs and cook for another 5 minutes. Pour 2 cups of spaghetti sauce on the bottom of the baking dish (9x13). Transfer the meatballs to the baking dish and pour the remaining sauce on top of the meatballs. 10. Remove from oven and serve. Enjoy! 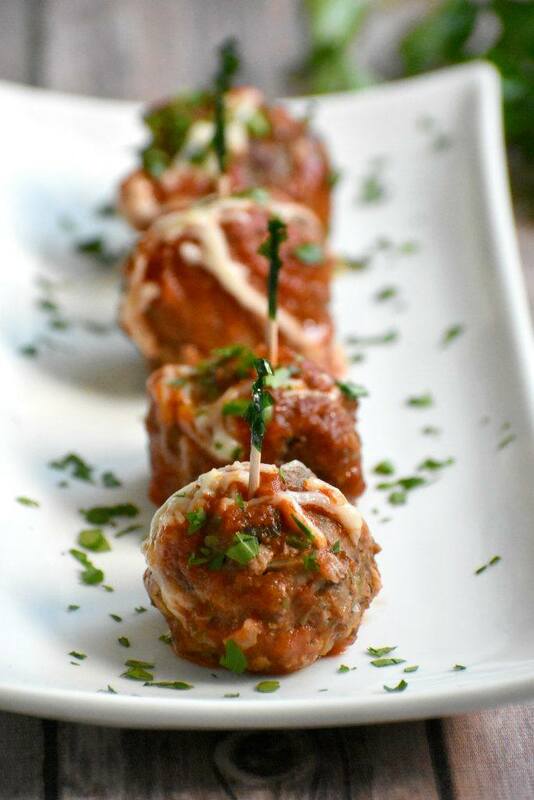 If you like this meatball recipe no eggs then you will love my cookbook. 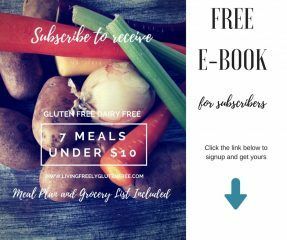 There are over 100 gluten and dairy free recipes that are simple to make with easy to find ingredients that everyone will love! You could. Brown them first in a pan. The browning process helps to keep them in tact. You really need to say to add all the ingredients to the bowl EXCEPT the sauce…oops! I guess I should have known that! Oh no, sorry the instructions were confusing. I will change that! Thanks for letting me know. What is the serving size of the meatballs? Do you need to use fresh herbs or can you use dried? Dried will work too, whatever you have on hand. Will these hold up if I throw them in a soup instead of baking in the sauce? Need a GF/DF option for Albóndigas and wanted to try these! I have never tried that. I think they would as long as you brown them first and don’t let them simmer for too long. There is no breadcrumbs or eggs holding it together though, so they might a little different to work with. Instead of browning on the stovetop, would it work to bake them? Would they stay intact? Thank you. Browning on the stovetop is a very important step since they contain no egg or breadcrumbs to bind them. The browning process helps them to stay in tact. Do these freeze well? If so, how would I go about reheating from frozen state? Thanks! You can freeze them. Allow them to thaw a bit and then you can cook them in sauce until heated through. What do you think about throwing them and the sauce in a crock pot for a few hrs to cook them? Think that would work? Yes, but you will need to brown them first.